Time Trial Committee Chairpersons - we are in need of a few members to assist in various areas and committees of the time trial. Show off your style! 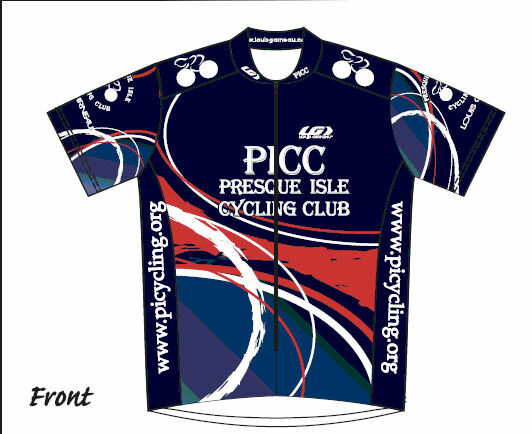 The club has a very limited number of jerseys and socks available for purchase. 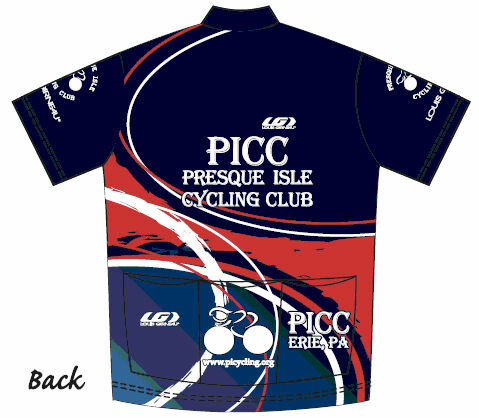 The jerseys are available in sleeveless, short sleeve and long sleeve styles (limited sizes still available). These Louis Garneau customized jerseys are top quality and very comfortable. 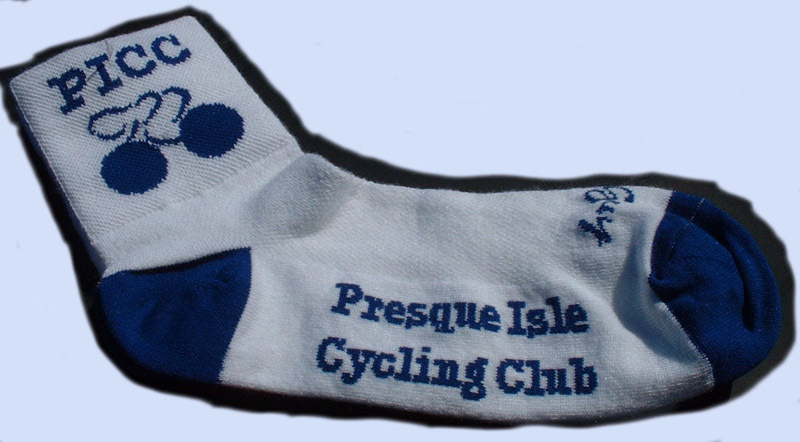 The PICC socks are white and blue with only small (5- 9 shoe) still available.